There’s no denying that Cadillac’s are stylish and fun to drive vehicles. They come packed with comfort and convenience-enhancing features that make the driving experience more enjoyable. Not to mention safety features are also abundant, so you can spend less time worrying and more time enjoying every moment you spend inside the interior of your used Cadillac. It’s clear that a used Cadillac is in your coming future, the only question is: which one? Experience a drive like no other behind the wheel of a used Cadillac. Baltimore drivers get all of the perks of buying a brand-new Cadillac without the price tag at Land Rover Annapolis. Never worry again about if your vehicle is able to show how sophisticated your personality is, let a used Cadillac do that for you. 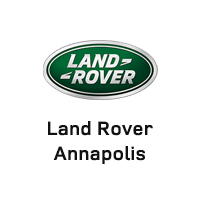 To make all your dreams come true, stop by Land Rover Annapolis today and we’ll find the perfect used vehicle to suit your needs, whether it’s a Cadillac or a Land Rover, at a price your wallet will love.